Thank you for your interest in contributing to Hernando Christian Academy. HCA is a 501(c)(3) non-profit organization. All gifts are tax deductible. Use the link below to give security through PayPal. You do not need a PayPal account to use this feature. The holidays are approaching and you will be busy shopping for gifts, decorations, and more. Remember to shop at smile.amazon.com. When you do, Hernando Christian Private Academy Inc will increase its AmazonSmile donations. Did you know your purchases can make a difference? 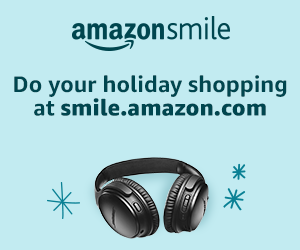 AmazonSmile donates to Hernando Christian Private Academy Inc when you do your holiday shopping at smile.amazon.com/ch/59-2102319.